John Martorano—known as “The Butcher”, “The Cook”, “The Executioner”, and “The Basin Street Butcher” among other names—was brought back to the stand Tuesday and faced off against Bulger’s defense team. Monday he testified that he carried out murders for James “Whitey” Bulger. Not only that, but sometime Bulger came along as a backup to make sure the murders were done in case something went wrong in the execution of their plan. Martorano also touched on Bulger disposing of bodies. The prime example was the execution of two brothers where one brother was killed and the body stowed away in a car truck and ditched in a South Carolina housing project—which is definitely far enough from Boston to raise any suspicion. The intent was for the car to be stolen and possibly for the car thieves to take the fall for murders—after all, there was a car in the trunk of a car they stole. Sure enough this happened. The Basin Street Butcher said he did the murders as part of his loyalty to then best friend and childhood friend Whitey Bulger. As expected, the defense went after Martorano in an attempt to drill holes in his credibility on the stand and with good reason as Bulger is up on 19 murders and some change in racketeering charges. They want to show that Bulger wasn’t responsible for any of 19 murders and especially two 1980s strangling deaths of women. They also want to make it known that Bulger was not an FBI informant and that he simply used corrupt agents for information. Martorano testified that Bulger had a hand in plotting murders, driving cars, disposing of bodies, cleaning the scene, and even killing some people. He also touched on Bulger’s relationship with the FBI through a friend from the neighborhood they grew up in—John Connolly. 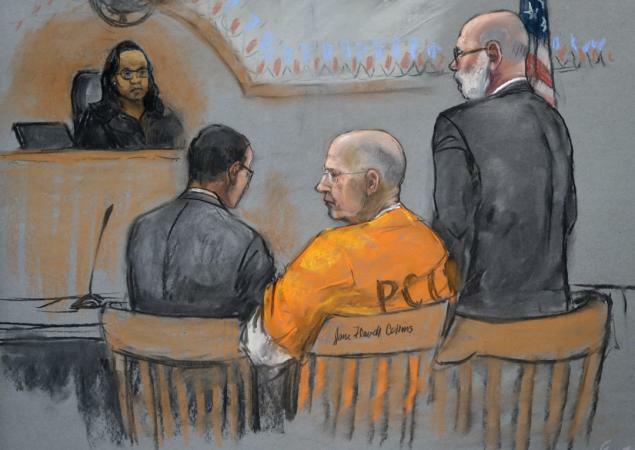 Other key players in Bulger’s group such as Stephen “Rifleman” Flemmi and Kevin Weeks are expected to take the stand against their former partner. Bulger lawyer Jay Carney would cut them off at the pass in opening by saying that all of them—including Martorano before he even got to the stand—by saying they all had something to gain by working with the prosecution in lightening their sentences. Very valid considering the defense has nothing to offer them as they have hand in these people’s fate. As organized crime figures and hitmen have mentioned in the past, it can be hard to get out and it can be hard to stop the killing. Martorano mentioned that because a person could be killed because he witnessed a murder that “We were up to our necks in murders.” Martorano said he denied the titles of “serial killer” and “hitman” because he never enjoyed murdering and he never killed for payment. Of course, that isn’t to say that he didn’t take payment. Martorano said he hadn’t murdered anyone since 1982. When asked by Brennan why he agreed to testify to the murders Martorano said that he wanted to “make sure that I got the correct story across,” since he believed that Flemmi would try to cut a deal and talk about the murders. He also mentioned that he was surprised to learn that Flemmi had been an FBI informant for years although he knew Bulger was. Brennan asserted that Martorano wanted a deal to which he agreed. Even if the defense manages to sink John Martorano’s credibility, it’s difficult to believe that Bulger’s team could sink all of the witnesses coming up or even that all of the witnesses they would bring up would not be twisted by the prosecution. It’s a risk on both sides as the majority of both side’s witnesses have shady pasts and have done dubious deeds. Finding credibility in most of these people coming up in the trial will be a difficult task for the jury and difficult for the prosecution and defense to put forth. If that’s the case, it’s probably best that James Bulger not take the stand. His body language, laughing during cross, and the like already don’t paint him favorably so it’s pretty much the prosecution’s case to lose at this point. If the defense does put Bulger up it would look like they’re just throwing their hands up on the trial and it would look like they’ve got nothing left to get Bulger off on all charges. He might be found not guilty on a few charges, but his team won’t be able to avoid them all even with a parade of witnesses with a collective lack of credibility that they could run through with ease. Some of these witnesses’ testimonies will stick in the jury’s mind. Some of it will simply make sense to them considering what they’ve seen of “Whitey” Bulger so far.